Why Should I Worry About the Internet of Things? The Internet of Things (IoT) is pervasive…and it’s not just about connected home devices or smartwatches anymore. IoT is being applied in myriad ways in all different industries – whether it is in the predictive maintenance of a fleet of long-haul trucks, proximity-based marketing to retail customers, or real-time route optimization for first responder vehicles. In 2015, there were about 15 billion connected IoT devices deployed; that number is projected to reach anywhere from 75 billion to a staggering 212 billion by 2020. 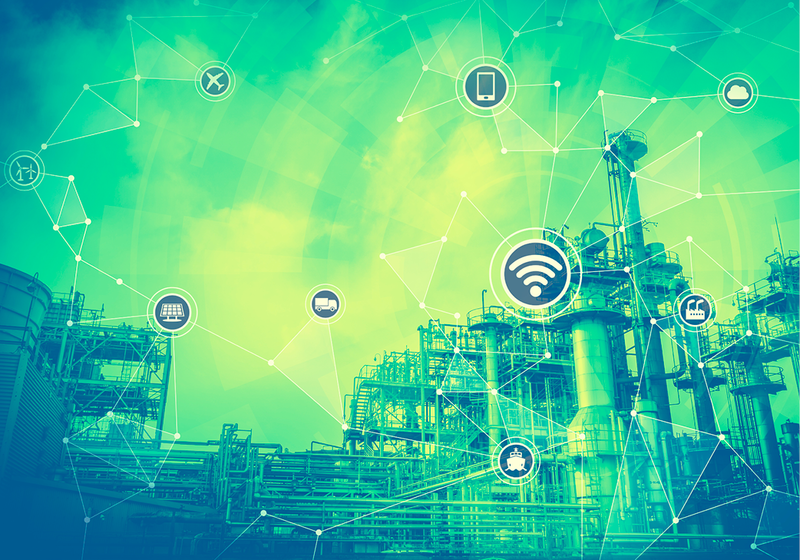 In 2017, it was estimated that 60% of global manufacturers were already using IoT applications to analyze their business processes and identify improvements and optimizations, a figure that will only continue to grow as technology becomes more widely available. Why Should I Care About IoT Certifications? The biggest challenge with IoT: most organizations are not ready. In a recent survey of organizations in which IoT technology could be applied, 82% of respondents said that they will adopt some form of IoT within the next two years. And yet, 47% of those same respondents said they are lacking the skills needed to truly benefit from an IoT deployment. Even as IoT applications make their way into almost every industry, qualified IT professionals with the skills needed to design, implement, operate, and manage IoT ecosystems are in dangerously short supply. Certifications related to new or emerging technologies like IoT are a critical factor in closing that skills gap by creating a professional workforce that is ready to support them. A technology certification has been designed to evaluate a very specific set of knowledge, skills, and abilities that will be required of an individual in a specific job function or performing specific tasks related to that technology. Typically, it requires ongoing continuing education or recertification to ensure continued competence in those subject areas, which are constantly evolving as the technology matures. Why Should I Take CertNexus IoT Certifications? CertNexus develops its certifications to meet the most robust, rigorous development standards possible. Many of our exams follow a development process that conforms to the American National Standards Institute (ANSI)/International Organization for Standardization (ISO) 170204:2012 standard, which outlines a global framework for developing personnel certification programs. If a certification is not ANSI, accredited it still follows the same rigorous process, but that one is slightly more streamlined. In all cases, CertNexus partners with highly knowledgeable and talented industry experts during development to ensure the integrity and quality of each exam. CertNexus currently offers one IoT-related certification, with other emerging technology certifications in the pipeline. CIoTP is an exam designed for individuals who are seeking to build a vendor-neutral, cross-industry foundational knowledge of the tools, technologies, and components within an IoT ecosystem. By successfully passing the CIoTP exam, candidates will become a Certified Internet of Things Practitioner, validating that they have the foundational knowledge and skills required of a capable IoT practitioner in a wide variety of IoT-related job functions.